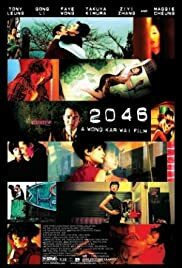 Several years in the making and highly anticipated, _2046_ (2004) should pacify director Wong Kar Wai's fans, at least, for its end-of-an-era feel and look. At its core, this is a decidedly (or deceptively) simple movie, in spite of its fractured and non-linear narrative. It tells the tale of an emotionally wrecked man, Chow Mo Wan (played by Tony Leung), a reprised character from Wong's critically acclaimed earlier oeuver, _In the Mood for Love (2000)_, and the many beautiful women he keeps and fails to keep, in a time-space continuance that is laden with sepia-tinted memories: a monologue, if you will, of Chow's torrid love affairs, love spats, and the ensuing heartbreaks resulting, no doubt, from the pangs of a failed liaison Chow is trying to escape. It'd appear that the failed relation with Su Lizhen (Maggie Cheung) in _In the Mood for Love_, who has a "special appearance" in this film, has changed Chow irrevocably, which is key to understanding Chow's troubled soul. But it is not a sequel necessarily, per se, to _In the Mood for Love_. 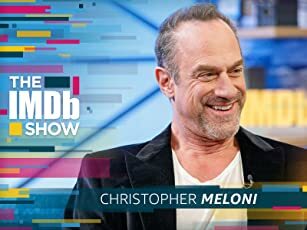 This film can still be watched on its own, though it'd certainly help if you could link moments in _2046_ to the director's earlier works, for it's laden with jumbled continuity (take the character of Lulu, for example, first seen in _Days of Being Wild (1991)_), hidden meanings (read: Neo-Godardian) and other fun stuff, sorta an insider's joke, if you dig such esoteric things. But I digress. And it's been said that this is a culmination of all the previous filmic experience of director Wong (bordering on narcissism); hence its "end-of-an-era" feel and look is duly appreciated and a point well taken. Su Lizhen (Gong Li) to Chow Mo Wan (Tony Leung): Do you know my past? Bai Ling (Zhang Ziyi) to Chow Mo Wan (Tony Leung): You may not like me. But I'll like you all the same. Contrasting Chow as a man who dwells in the past and in need of closure to move on, Tak (Kimura Takuya) isn't ambiguous when it comes to matters of the heart. Tak (Kimura Takuya) to Wang Jingwen (Faye Wong): I do not know what your answer may be. (I dread to know.) But I need to know. Those familiar with Wong's earlier works will notice his signatures throughout: quick cutting, slow motion, fast motion, freeze frames, black and white, tilt shots, color filters, neon-sign lighting, aided ably by three able cinematographers. Production value of _2046_ is expectedly top-notch. Music by Shigeru Umebayashi is haunting and sets the right mood. Zhang Suping (William Chang Suk Ping) does a wonderful job in creating an enrapturing atmosphere set in the late '60s. How great it is, in an otherwise desolate world of unease, vulnerability, hopelessness, and pathos, we have directors such as Wong to feast our senses. Highly recommended. 195 of 261 people found this review helpful. Was this review helpful to you?